Do you spend hours in front of computers and TVs everyday? We all do! Chances are that your eyes are being strained because of that and you may not even realize it. It is possible to reduce eye strain. Do you ever wonder why people wear computer glasses? 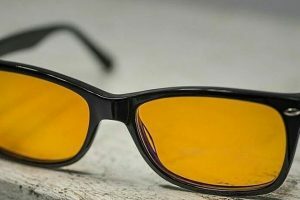 Before you make any decisions on whether or not to look into buying computer glasses, you need to ask yourself the following questions: Am I experiencing any eye strain problems? If yes, what are the best ways on how to reduce eye strain? Are there any eye strain cures or ways to prevent it? Yes, I believe there is! Read on to learn more about computer glasses and how they can do for you. 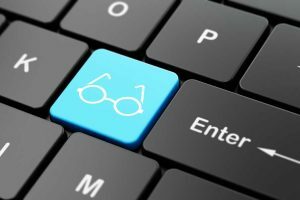 Can Computer Glasses really reduce eye strain? Nowadays, the kind of work that many of us do requires us to spend entire days working on a computer. If you are one of these folks, chances are you might be suffering from a condition known as computer vision syndrome. This is a situation where you have problems seeing clear vision; instead you might see everything blurry. Other symptoms might include watery eyes, itchy eyes, eye redness, eye strain, back pain, neck pain, and even headaches. Your condition may get worse, especially if you are the type of person that doesn’t take frequent breaks, if you work in a room that doesn’t have a proper lighting system, or that has fluorescent lighting. The good news is there are many ways on how to reduce eye strain. There are special computer glasses that can help you to solve your eye strain problems. Taking frequent breaks can also help you to stay clear from computer vision syndrome (CVS), although investing in a pair of special computer glasses is the best thing that you can do for yourself. So what exactly are computer glasses? Many people wear glasses because they have poor vision. But wearing glasses doesn’t always mean that you are suffering from a vision problem. 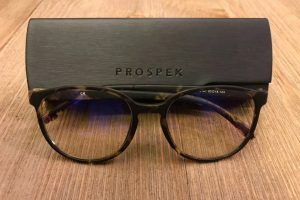 Unlike prescription glasses, computer glasses are different. These glasses are usually designed to solve only one issue, eye strain problems. So, if you spend a lot of time working on your computer, computer glasses are highly recommended in order to protect your eyes. Studies show that an average office worker spends at least 6 hours per day working on a computer, not including all the time spent on iPads, iPhones, and televisions. Six hours is quite a long time and you can develop vision related problems slowly over time without even knowing. Your eyes will being to strain and usually you’ll assume that you’re just tired and need to get some sleep. Computer glasses are special type of glasses that are only meant for screens. All screens, televisions, computers, laptops, smart phones, and tablets. When compared to the regular glasses, these types of glasses have a special colored lens that is designed to filter the blue light from screens in order to protect your eyes. If you are trying to find the best way on how to reduce eye stress, computer glasses are specifically made to help you with that. 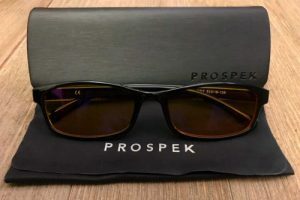 These are special type of eyeglasses that are meant to protect your vision when you are working on a screen. They are made to filter the blue light that comes from screens. Blue light hurts vision and mimics sunlight in the sense that it keeps you awake. Thus, computer glasses make it easier for you to look at your computer screen and work for longer hours, especially late into the night. Computer glasses usually have a yellow tint that is designed to filter out blue light and also happens to increase the contrast on your computer screen so that you do not stress your eye muscles. If you have ever heard of Gunnar Optiks, they’re well known for effective computer glasses. The light that comes off your computer screen can cause serious vision problems. It may cause you to have difficulties of being able to see clearly and focus. This usually results to you straining your eyes in order to see what is in front of you. As mentioned before, special computer glasses have a special tinting that will help you to solve your glaring issues. Helps you to stay focused – Prescription eyeglasses are meant to correct far or near vision problems. Computer glasses are designed to help you to stay focused on what it is that you are doing. A good pair of computer glasses can help keep you focused in the right zone and getting your work done. Improves your posture – Many people have problems of finding the right sitting position when working on their computers. Some try to lean forward in their chairs just to be comfortable. If you are having these problems, a pair of computer glass is worth a try. It may be that you’re leaning into the screen because you’re straining your eyes. So, are computer glasses ideal for you? To answer the question whether or not special type of computer glasses will be ideal for you depends on several factors. Some of these factors include how long you spend working on a computer, your vision abilities, and work conditions. 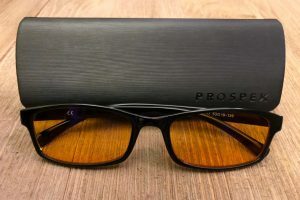 If you are spending hours looking at a screen on a daily basis then whether you realize it or not, you’re likely experiencing some kind of eye strain problems, then it’s in your best interest to try these glasses out. Eye strain is a common problem. Now, it’s normal for eyes to feel tired at the end of a busy day, however don’t let this to be an excuse for not looking for a solution. Just because you think it’s normal, it doesn’t necessarily mean that everything is fine. 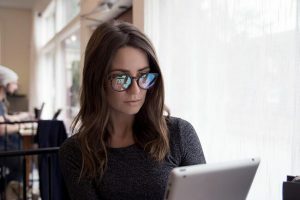 Chances are that you’re damaging your eyes in the long term and would therefore really benefit from computer glasses in order to reduce eye strain.